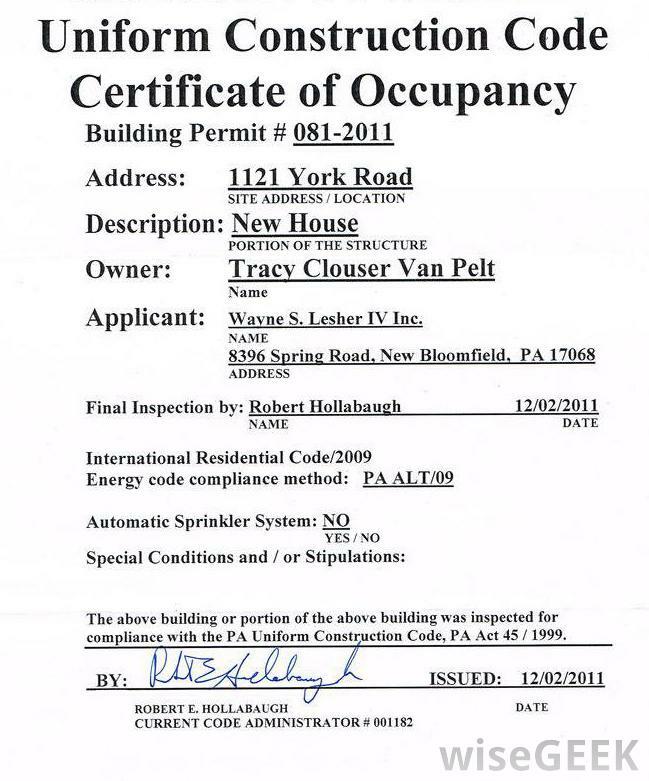 A certificate of occupancy is a notice issued by a local building official that certifies a building as having met safety codes. Inspection requirements are different from city to city. A facility being used and operated in without a certificate of occupancy can be subject to fines or legal action by its residing city. When a facility undergoes renovation, it loses its certificate and must be reinspected.